To even the scales, a third of all government tenders were limited to disadvantaged groups. But access to them has not eased, as a recent study called #Jipeshughuli by The Institute of Social Accountability found out. 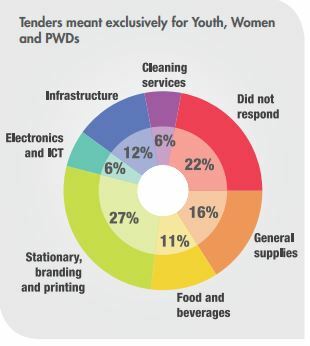 In 2013, President Uhuru Kenyatta directed that procurement rules be amended to allow 30 percent of public procurement opportunities to be set aside for youths, women and persons with disabilities (PWDs), the so called “disadvantaged groups”. In response, the Cabinet Secretary introduced the Public Procurement and Disposal (Preference and Reservations) (Amendment) Regulations, 2013, which were adopted as an amendment to the Public Act and Asset Disposal Act of 2015 and form the legal framework of Access to Government Procurement Opportunities (AGPO). One of the central questions that have arisen in recent times is what constitutes “disadvantaged groups” and who should receive preferential treatment for tenders under the Act. This was also one of the issues that arose from a study by The Institute for Social Accountability (TISA) on the challenges in accessing AGPO tenders. As such, age, gender, and disability constitute the primary criteria. In Kenya, a youth is a person between the age of 18 and 35 years. In the same way, all persons of the female gender are beneficiaries. 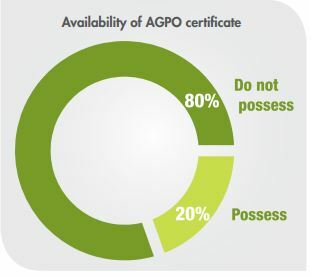 As proof of disability applicants under the AGPO program must provide a National Council for Persons with Disabilities Certificate. To benefit from preference and reservation schemes, an enterprise must be owned by youth, women or PWDs. At least 70 percent membership and 100 percent of all leadership positions must held by youths, women and PWDs. Enterprises must also be registered under the AGPO Program at the National Treasury to access tender opportunities. The Public Procurement Oversight Authority (PPOA) is tasked with the responsibility of maintaining and updating the register of all small and micro enterprises owned disadvantaged groups that have been issued with an AGPO certificate. As at February 20th 2017, there were 46, 849 enterprises. While such eligibility requirements are necessary in operationalizing the Act, they are cumbersome and unaffordable to economically disadvantaged groups. Even the capped company registration costs at Kshs 10,000, according to the 2015 Companies Act, is still beyond the reach of disadvantaged groups living in abject poverty. The Doing Business in Kenya 2016, by the World Bank, which studies regulations from the perspective of small and medium-size firms, reported that on average, starting a company requires seven procedures, takes 23 days and costs 22 percent of the country’s income per capita. The process is also less efficient compared with global Doing Business 2016 average. Therefore, additional reforms that reduce the time, complexity, and costs of registration are welcomed. In essence, the nature of the eligibility criteria locks out a majority of the disadvantaged groups that the Program was created to assist. 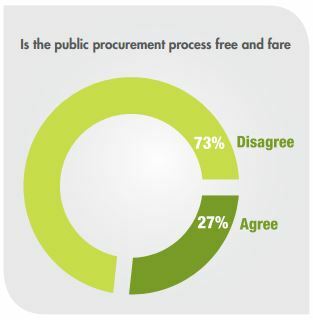 It is therefore not a surprise that TISA’s JipeShughuli study showed that only 20 percent of targeted beneficiaries had AGPO certificates, meaning that 80 percent could not access procurement opportunities. The other weakness of AGPO is the presumption of homogeneity in the target population. It presumes that all youth, women, and PWDs are “persons perceived to be denied, by mainstream society access to resources and tools which are useful for their survival”, that all members of the target group are socially and economically disadvantaged. While well intended, it opens the process to abuse, as the recent corruption allegations in the Kshs 5.2 billion Afya House Scandal shows. An enterprise owned by the President’s relative was given preferential treatment and awarded a multi-million tender as part of the 30 percent reserved for disadvantaged groups. In a country where half the population live on less than 2 dollars a day, needy populations will remain underserved as programs such as AGPO continue to benefit only a segment of the target population. 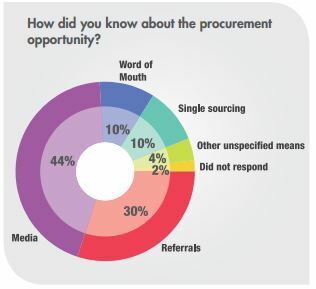 Lack of access to bank loans and burgeoning corruption will continue to lock out deserving applications, leaving only a minority who are able to finance LPO/LSOs and pay bribes, disguised as “informal fee”, to benefit from government procurement opportunities. A recent report by the Institute of Security Studies ranked Kenya at number 6 among top 10 countries in Sub-Saharan Africa with large populations living in extreme poverty. This means that, while programs such as AGPO, as well as affirmative action funds (Youth Enterprise Development Fund, Women Enterprise Fund, Uwezo Fund) continue their singular focus on the youth, women, and PWDs as the only disadvantaged groups, there is a population of adult men who are also economically disadvantaged but have no access to any government affirmative action. Perhaps, there is a need for a more objective metric for assessing ‘economic disadvantage’ across the population irrespective of age, gender, or disability status. The Constitution calls on the government to espouse certain values and national principles of governance, including “human dignity, equity, social justice, inclusiveness, equality, human rights, non-discrimination and the protection of the marginalized. In pursuit of these noble ends, the society should also not forget the need for better models for affirmative action, welfare, tax redistribution, and ending corruption. By Richard Oduor Oduku, 2017.